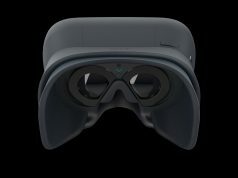 Finland-based headset maker Varjo has announced it has raised a $31 million Series B investment to continue the development of its novel ‘Bionic Display’ headset which incorporates a high-density display with a wide field of view display as a shortcut toward a ‘retina resolution’ VR headset. 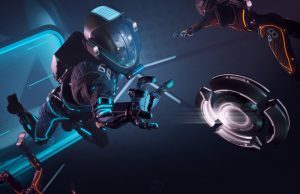 Varjo’s Series B investment was lead by London-based investment firm Atomico, with participation from Next47, EQT Ventures, and Lifeline Ventures. 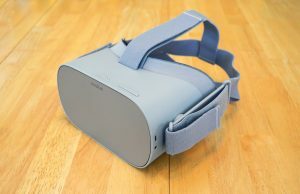 The company says the money will be used to scale the company’s workforce from 80 to 200 people over the next year, and to fund the launch of the first Varjo headset which is due out in “late Q4.” The company says the Series B round brings their total investment capital to $46 million. 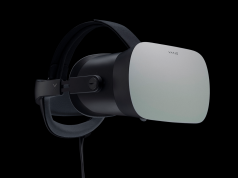 With an expected price between $5,000 and $10,000 per device, Varjo is exclusively targeting enterprise customers with its initial headset. 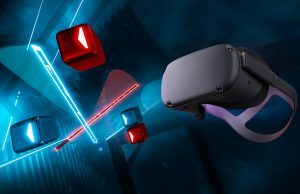 The company says they’re working with Airbus, Audi, Lilium, Saab, Sellen, Volkswagen and Volvo Cars to adapt the headset to enterprise needs, with many companies seeking cheaper and more efficient virtual design and production processes aided by VR equipment. 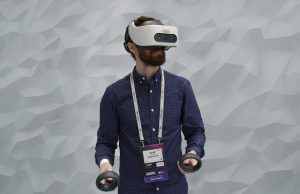 Varjo has impressed us with its ‘Bionic Display’ headset, which aims to deliver a VR headset with retina resolution—resolution high enough that individual pixels aren’t discernable by the human eye. 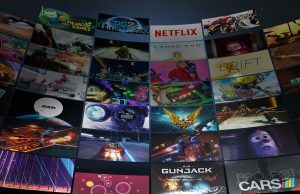 The company’s approach involves using a large low-density display in conjunction with a small high-density display, offering a view with a central region of retina resolution fidelity without sacrificing the immersion that comes from a wide field of view. 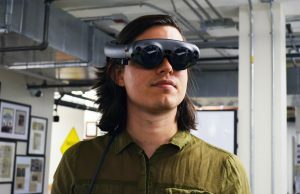 The problem is that they already promised that by Christmas last year it would work with eye tracking and it seems that this is not yet the case. But this really seems like a short-time solution, unless the high density display can work with eye tracking. 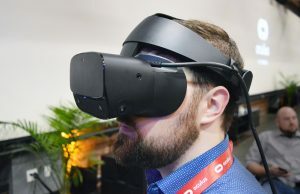 Because, I’m pretty sure eye tracking plus foviated rendering will be here soon enough, and then this display would be kinda useless since I presume it couldn’t actually work with that stuff if the high density less is fixed in place. 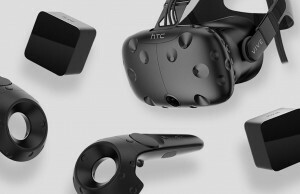 The physics of the device itself has basically the same effect as foveated rendering (i.e. centre is high-res and periphery is low-res), but apart from that, yeah. The current version could still be useful for certain productivity applications where people can just get used to pointing their head at the location where they need to see fine detail though. Please give an example of a commercial application that demands this technology. 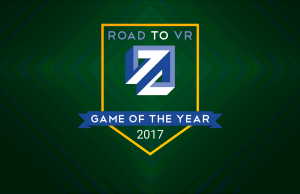 VR and augmented reality are both technologies looking for an application. Google came the closest with their glass demonstrator… and it turned out to be a socially unacceptable non-starter. But there isn’t even a technology here… there are a bunch of disjointed ideas of what such a technology could look like and none of them have been implemented with any level of satisfaction, so far. 3D modelling/texturing, e.g. in Substance Painter. And pretty-much anything Doc_Ok does (protein folding etc), though much of that may be more academic than commercial. 3d modelling has existed since before the stone age. Our ancestors liked to use wood, clay, animal bone and such. There are serious people called “artists”, who still think that’s the better approach than bits and bytes. Even complex Industrial design does perfectly well with a high res monitor and a mouse. If you would ask those guys what they need, they would answer “better, more intuitive software” a hundred times before they would ask for a Darth Vader looking contraption. As for protein folding… almost nobody in commercial applications (pharmaceuticals) cares about that. Those folks only care about human trials. Nothing on the level of in-silico research matters. Art, accounting, banking etc. all existed for centuries before the computer. Carpentry existed before the screw and the nail. What is your point? My point is that nobody is asking for VR and augmented reality. And even if they were, this isn’t it, yet. Seems like some people with $31 million asked for it in this case. You can find plenty of examples of people wasting billions on equally bad or much worse ideas. Solyndra comes to mind and Nano Solar. Bad idea or not, they’re clearly asking for it from Varjo if they’re willing to put up the money. And as for “this isn’t it yet” — obviously it never will be without incremental improvements. Nobody’s going to build the Matrix in their basement overnight. That’s how financing works… you won’t get if you don’t ask. That is standard procedure and anything but a guarantee that the investment is wise. See Facebook… p****ing away a billion, or was it two? There is nothing to “incrementally improve”, if you don’t have a working base technology thart has a mainstream application. 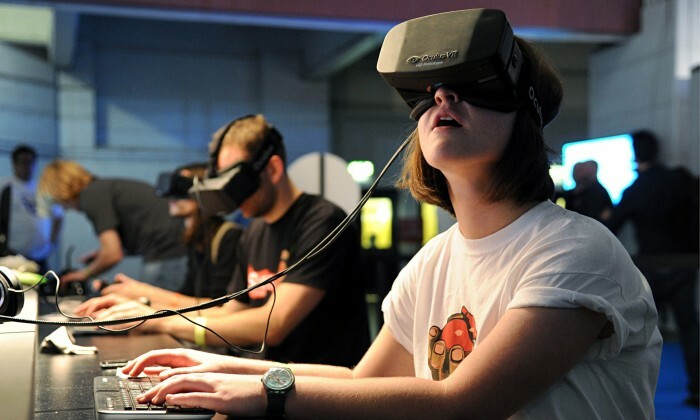 So far the interest in VR is lagging way behind the hype. People don’t need it, those who have seen it get fed up with it in ten minutes. 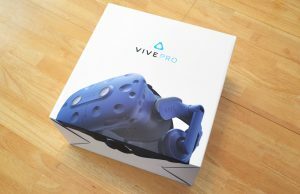 If they don’t, nausea sets in and the expensive VR toy goes into the box with the other bad toy ideas. We could discuss what the real problems with VR are (artistically and in terms of human physiology), but that’s beyond the scope here. A “wide FOV” which is only around 100°. That’s very misleading to put that phrase in the article without specifying what they actually have. 100° is no longer considered wide FOV. 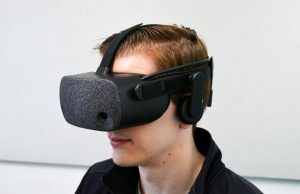 31 million funds, great they’ll be able to knock a dollar off there 10 million dollar headset that you can’t even buy… Tested had a go at the Varjo and they were positive at the technology, however it has a long way to go to prove anything. 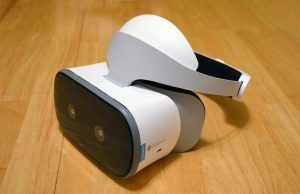 For me StarVR One which I think can be purchased by consumers has the most promise of the new up and coming headsets. A Kickstarter from Shanghai? You might as well shred your money, then burn the shredder and dispose of its ashes in the ocean. 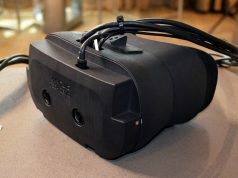 Cool… yet another diving mask that looks like Darth Vader and that delivers a VR experience worthy of a 1956 color TV. Who wouldn’t want that? This is getting pretty close to human-eye resolution, just only in a limited area of the FOV making it somewhat pointless for many applications unless/until they’re able to move that area based on eye tracking. If I had a penny for every time the phrase “this is pretty close” was uttered in the VR field since the late 1980s or early 1990s (i.e. a quarter century ago! ), I would be rich. 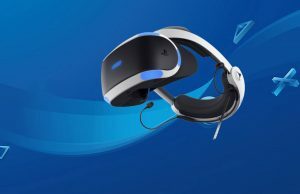 The problems in VR are not just resolution and field of view, however, that even those haven’t been solved, yet, by a single consumer grade design (or any design at all), tells you that this is not even close, despite the continued optimism in the press. Being close to human-eye resolution has nothing to do with things that are not resolution. Not sure I understand your overall argument, though — virtually no useful technology would exist without incremental improvements. That’s only true of technologies that have serious applications. A bone blade is better than no blade. A stone blade is better than a bone blade. A copper blade is better than a stone blade. A bronze blade is better than a copper blade. An iron blade is better than a bronze blade and a steel blade is better than an iron blade. 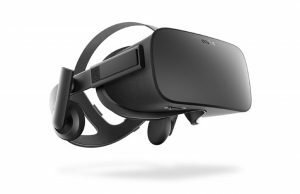 However, one slightly less crappy VR or AR device isn’t any better than a more crappy VR or AR device that was also not necessary. Cool, maybe they’ll have something out by the time I get my Rift 3. All these newco must count very well the time passing by the first claim to the final product delivering. 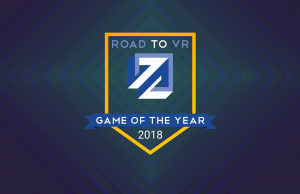 From now till the end of 2019 we will have display of (many)k with very high ppd resolution that mixed with eye tracking will begin to have optical resolution very similar to varjo central zone, so the device will be useless, if they don’t accelerate the road to final product. I’d be happy with this type of resolution for my gaming but the FOV is actually worse than what’s currently available. That price tag is rather high too! So their first version is going to be a fixed viewpoint? It’s a shame but I’m curious to know how the HQ pass-through and tracking fares. Finland stick to Angry Birds and Nokia..